You must be a member of the Manila Wine Group to attend this activity. Would you like to join this group? 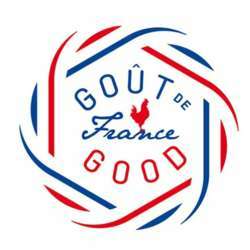 Goût de France / Good France is a unique global event held on 5 continents in over Protected content which, for this fourth consecutive year, will involve French embassies abroad and chefs from around the world. They will all offer “French menus” on the same day, Wednesday 21 March Protected content . This fourth year will see some 3,000 participating restaurants, including 1,500 chefs currently registered in France. And for the first time, there will be a regional focus with the Nouvelle Aquitaine region selected as guest of honour. Alain Ducasse also wanted this year’s event to be an opportunity to pay tribute to Paul Bocuse with the participating chefs having the opportunity to include one of Paul Bocuse’s dishes or a dish inspired by him in their menus.